Shearwell EID readers are fast and reliable; exactly what you need. All Shearwell Data readers are ISO-compliant. Choose from three categories of EID readers - basic handheld readers, readers with facilities to record additional information and panel readers fitted to weighing and drafting crates or race readers for high volume applications. All our EID readers use Bluetooth technology to link wirelessly – connecting to SDL stock recorders, weigh heads, mobile phones and mobile printers. Our panel readers can be supplied with twin antennas to ensure superior read rates, even when animals are moving at speed. Our handheld tag readers range from basic readers to readers with advanced functionality, catering for all types of recording requirements - from simple movement recording to comprehensive management recording. The SDL Stock Recorder is two tools in one - an EID tag reader and a handheld computer running our FarmWorks by SDL farm management software. 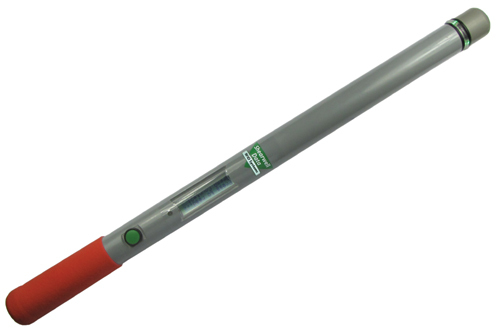 Our Stick Reader has single-button operation for ease of use. The screen displays the tag number, management group and the count of animals read. This EID system comes as either a single or double unit built into a frame that slots into most standard races. The Fast Reader uses the same tried and tested technology as the SDL 150, to provide superior tag reading even as animals move through at speed. These panel antennas with robust, built-in readers read both HDX and FDX technologies, functioning well even in busy commercial environments with many competing electronic signals. The SDL140 can be used with several of Shearwell's recording systems and links wirelessly to the SDL Stock Recorder and Android versions of SheepCounter, StockMove Express, FarmWorks Mobile by SDL and EID Connect App. Recommended for its speed and accuracy in recording livestock data. With its built-in RFID tag reader, you can use it to record breeding, births, weights, treatments, movements and much more. It’s great out on the farm - easy to use, rugged and reliable - and it’s great back in the office to help stay on top of your record keeping. It works seamlessly with FarmWorks by SDL to help you plan and manage your livestock more profitably and to produce accurate, neat paperwork and fulfil your statutory requirements. A Stock Recorder from Shearwell Data comes complete with everything you'll need to get started. App allowing livestock farmers in Great Britain to manage their sheep holding register and cattle herd register. It is powered by NLMD-LT livestock database, meaning everything recorded on the device can also be viewed and reported online using any Internet connected computer. 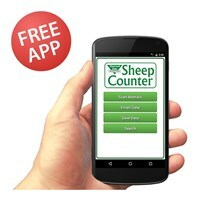 Shearwell’s Sheep Counter App enables users to connect a Reader (Stick Reader or Race Reader) to a phone or tablet. The RFID (electronic identification) numbers are read (from either electronic tags or bolus) and sent to the Sheep Counter App. As animals are read, comments can be viewed and added for individual animals. The data can be saved to the memory card of the phone/tablet or emailed. The RFID (electronic identification) numbers are read (from either electronic tags or bolus) and sent to EID Connect where they are stored in a group with other reads. The data can be shared via cloud storage, email or stored locally on the device. - Record animal movements, births, deaths and replacements. - Record medical treatments and procedures. - Record animal comments and groups for management purposes. - View animal details of all sheep and cattle on your farm. 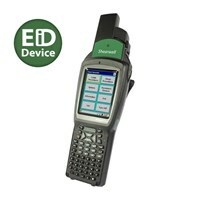 - Connect via Bluetooth to the Shearwell Data EID Stick Reader. See here for details. 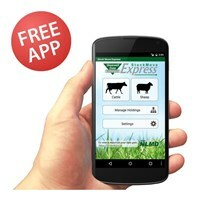 Stock Move Express for Android allows livestock farmers in Great Britain to manage their sheep holding register or cattle herd register and also fulfil statutory reporting to ARAMS, BCMS, EIDCymru and ScotEID. 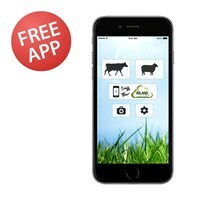 The app is powered by NLMD-LT livestock database, meaning everything recorded using the app can also be viewed and reported online using any Internet connected computer. 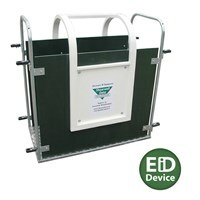 It can also link to a Shearwell SDL400S or SDL440S EID Stick Reader to read electronic tags. 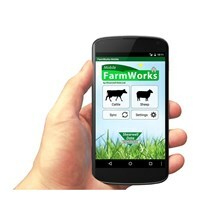 The app is designed for both cattle and sheep and allows the farmer to view and record livestock details when out on the farm.